The National Rifle Association has filed a lawsuit against Oklahoma City-based Ackerman McQueen, which has been the group’s ad agency for nearly 40 years and produces the pro-gun extremist network NRATV. 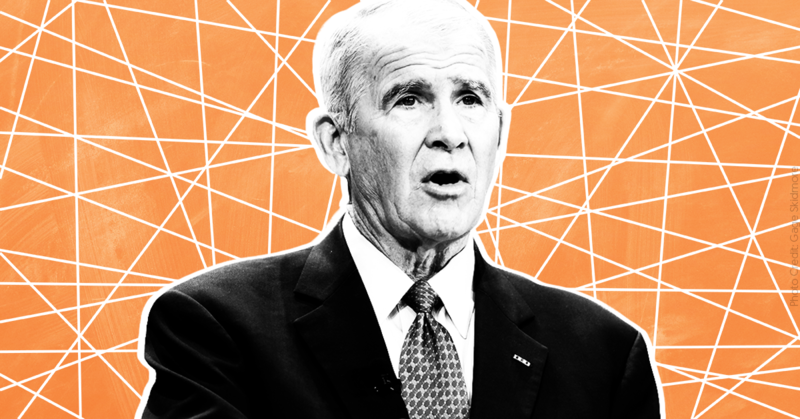 According to The Wall Street Journal, the lawsuit was filed on April 12  and claims that Ackerman McQueen “was obliged to provide access to to records underlying its bills” but that as of halfway through 2018, some such requests from the NRA had been “rebuffed or baldly ignored.” The lawsuit also zeroes in on NRA President Oliver North, who has a contract with Ackerman McQueen to host the NRATV show Oliver North’s American Heroes. The NRA says it is required to disclose and approve its top officials’ pay, but that neither North nor Ackerman McQueen will share all the details of their contract. The article highlights a split between the “pro-Ackerman McQueen faction” of the NRA’s board, who think the law firm leading the lawsuit is charging too much, and those who think it is “money ... well spent, because it’s for the survival of the NRA,” which reportedly includes Executive Vice President Wayne LaPierre. Ackerman McQueen and the NRA have long had a symbiotic relationship. The NRA's lawyer who is handling the lawsuit is related to two top Ackerman officials, and some  employees  have worked with both organizations, either alternating or at the same time. The ad agency was  responsible for some of the NRA’s darker videos and helped  former NRA President Charleton Heston hone his imagine as he led the organization. This latest bout of infighting, however, comes a little over a month after  NRA board member Marion Hammer went on record to The New York Times questioning “the value of” NRATV network and less than six months after  layoffs hit the network.